Husband Wife Team Driving Help! Werner came into school today and advised that they have a team program where they will train a husband/wife team together. Sending in application in the morning. Will advise more when we have it. Old School you are right. As long as you are on the bp meds the best you can get is a one year card. If you get the bp below 140/90 AND off the meds you can go back to two year cards. I'd be proactive and send it to them anyway - don't wait for the call back. Show them you want to work for them and that you did your due diligence to prove that to them. If I was the employer I'd be happy that a potential employee was that persistent to do what I asked and was taking the initiative to show me that they were so serious. Also, by sending the info, it puts your name/file back on top of the pile for now. Well it is week three. Finally in the trucks. It seems like a long time getting here but it's only been two weeks since we started. For pre-trip, my brain gets locked up and I get tired of my own voice lol. I hate to admit it, but once inside the trucks, I'm intimidated. Standing outside the trucks I can't wait to get in and get going. But once inside it's another story. The size, the power, the lack of vision. However, it's a huge thrill and I just have to concentrate. Each time I'm in the truck for a maneuver I fell a little better, dare I say a little more comfortable. I know, I know, don't get comfortable, you'll get complacent. Well I don't think that's possible at this point when my eyes are bigger than their sockets and my frontal cortex feels like it's going to explode out of my forehead lol. A big shout out to my wife Maggie. She is so far outside her comfort zone that she is not happy about it. But guess what? She channels that discomfort into determination. She is a much better straight-line backer than half of the others in our class. And she takes the initiative to jump up in the truck and get the practice. Our class mates "lovingly" tease me, saying that she is better at this than I am. I just smile and say "I'm not surprised" while thinking yeah, she's better than you, too lol. So far I have to say that I am happy with our choice to go to private school at Napier. The instructors all have different personalities which make training with each different one a unique situation. But they all have the desire to see us succeed and all try to make that happen in their own way. So tired. So nervous. Keep plowing ahead. Will update more later. Hey Rev, My wife and I are in CDL school right now, looking for companies to train us together. Covenant for sure, probably Schneider, even though I haven't spoken with them directly yet. Also still looking and inquiring with every recruiter that comes through the door. It's funny, we hear that the companies that do teams really like to get husband and wife teams, but so many say they do not train together. I would think if they really wanted to attract them, companies would have a training program for them. Maybe I'm just spittin' in the wind... I'll let you know if I hear of any others if you'll do the same. An excellent read. Best of luck to you. Looking forward to more. Ok, it's Monday and we're back to school. TMC came in today for their presentation. Sounded nice, but no teams so that's out for us. We did more review for the learner's permit today. Also started on hours of service. Very rudimentary start, but you gotta start somewhere, right? Oh yeah, Saturday was test day for the permits for those who wanted to try earlier than official test day (Tuesday). So the BMV opened at 8:00 am. We got there at 8:30. The waiting room was jam packed but no one was in the testing line. A quick check revealed the reason - the testing computers were down - all across the state. Well, we decided to wait. About 9:30 the announcement was made that they would go forward with paper tests. Uhhh....ok, that's a wrinkle. However we were unfazed so we stepped up. You see, the computer tests allow you to skip questions if you want, and they let you know if your answer is correct or not. Also, since it is a pass/fail, once you answer enough questions correctly, the test is over and you can move on to the next test. It also shows how many you have correct, how many you can get wrong for a fail, and how many wrong you have. If you run out of questions and still haven't passed (or failed) you cycle back to the ones you skipped and then you must answer them (no more skips). Now for the paper test. You get the test questions and an answer sheet. No instant feedback so you have no idea where you stand. Like the old days lol. Finish the test, hand it in and wait for the results. Halfway through the testing, the computers came back up so we got to finish the testing on the computer. Three on paper, three on the computer. The computer tests sure seemed easier to do. In the end we both got our learner's permits (GK, AB, and Combinations) and all three other endorsements - doubles/triples, tankers, and HAZMAT. Woohoo! One more hurdle cleared. There was an extreme sense of relief for both of us let me tell ya. We celebrated with about a two hour nap. Then went to Edgewater dragstrip for some ear-shattering blowing off of some steam. Today we went after class to get our fingerprints done and our background checks started for our HAZMAT clearance. Tomorrow we get the day off since we already have passed all of our tests. Our current instructor, Coffee, appears to really want the students to do well, but he does call it like he sees it. So, those that need to study more are told just that. Those that need to focus are told just that. It's told in an encouraging but straight-forward way. More to come I'm sure. Until then, be safe and don't get complacent. Ok, it's Friday. School is over for the week. Wow that's a lot of information to cram into one's brain in one week. We both are going tomorrow morning to the BMV to take the tests for our permits. So.... more studying tonight. However, I think we are ready. Amazing how tired we both are - and just from sitting around all day lol. My take on the school so far - they are very conscious of the state's requirements for them and make sure we are adhering to the policies. The instructors have made it very clear that their jobs are to get us to pass the tests so we obtain Class-A CDLs. We will not be truck drivers when we graduate. That is when we start learning to be truck drivers. Sounds like something I've heard before... I believe that the school is doing just what they promised so, so far, I am happy with our choice. It's clear to me that, had I not found Trucking Truth and all of the excellent education I have received through it, I would not feel as comfortable as I do with the knowledge that I think I have at this point. Don't get me wrong, I'm comfortable but not over confident. There is so much to know, there is no way I feel like I know enough yet. Hopefully it will be enough to get the permit and move on to the next stage. So I haven't had a lot of exciting things to report yet, but it's been satisfying to relay what I have in the hopes that someone might get something out of it. I will say, when it is time to get into the trucks, I'm going to be excited and nervous at the same time. More to come later. Day 3: Started out with a bummer - 45 min stopped dead in the middle of the interstate. Middle lane, between exits, no movement for 45 mins. Oh well, nothing like a jump start on our future lol. School was understanding - hey these things happen - nothing you can do about it. However you owe us the time :-). Lots of learning again. My eyes and brain are worn out, but still more reading and studying tonight. Maybe the book work/test stuff should be longer than a week? No worries - permit test is pass/fail. Actually doing better on endorsements than GK and AB. We are just the perfectionist types. We expect ourselves to know the stuff inside and out. So just keep plugging along. Gotta go. Welcome aboard! I cannot, from personal experience, address your topic, but there are members on here that can. I believe you will find this site very informative for a multitude of questions you are going to have. Best of luck. 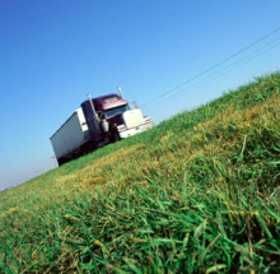 Will any of these things stop me from becoming a truck driver? Lisinopril, no, but will limit you to a one year med card. CPAP machine, no, but you'll need to have one that gives you the ability to transmit your results/usage to the company you're working for. The others, not too sure. There is a web site that will let you know what a CDL driver cannot take, unfortunately I do not know that off the top of my head. However, the powers that be here on the site will be able to direct you to the right spot. Good luck! Day 2. Is it only the second day? lol We sure don't put any time to waste here. Went over air brakes and HazMat today. Studying combinations, doubles/triples, and tankers tonight. Maggie is plugging along very nicely. She is an over achiever, though, so no surprise there. The classmates so far seem to be a nice group for the most part. Everybody was on time today and even the class clown (c'mon you know there's one in every class) is not too vocal/over-the-top. It's interesting to note for all of the folks on the site that our instructors seem to be a lot like our Trucking Truth leaders. A few comments and helpful hints I've heard have made me think, "Is Brett, or Old School, or Daniel B. here?" Kind of comforting to know that it seems our school has our best interests in mind as newbies, just like our fearless leaders here at Trucking Truth. Two recruiters today: US Xpress and ISupply. One in the morning, one in the afternoon. Us Xpress had a slick (and I mean that in a positive as well as a be wary way) presentation. Definitely a salesperson. Gave a lot of good information, but felt like some information was held back. Well, can't tell everything there is to tell in a half hour presentation to a group I guess. ISupply was interesting. Nice presentation. It's a restaurant food/supply delivery company. Said right up front - you will be off-loading, via a hand truck/dolly, 1000 to 1300 cases a load. So if you're looking for drop and hook, this is not the place to get that. Seemed pretty open in his presentation. I was intrigued. Thanks Dragon... the encouragement is very much appreciated. Ok, Day one in the books. Well, almost. A lot of reading/studying to do tonight for tomorrow. Today was all classroom. Starting out with 16 class members. Fill out some school forms, take some "tests" to get us used to how the test questions and answers are presented. Don't fall behind or you will be in the school a lot longer. I like the instructor's policy of "early is on time, on time is late. Don't be late or you owe me that time." Nothing earth-shattering the first day. I felt fairly comfortable since I went through the High Road training. At least I have been exposed to the information so I'm not completely in the dark right now lol. Trucking company recruiters come in about every day and it is required to sit in on the presentations. Not a bad thing in my opinion. Exposure to different companies, get to hear other students' questions for the recruiters. First one for us is tomorrow I believe. This week is all classroom getting us ready for the permit test. We can go on Saturday if we feel we are ready, or wait until Tuesday which is the actual scheduled day to go (BMV is open for a few hours Saturday mornings). If we go early but fail a portion of the test, we can get help with the area(s) so that we can go back and pass on Tuesday, therefore not falling behind. Hazmat is frustrating to me so I might need a couple of shots at that one. Well off to more reading/studying. Thanks Sue D! At least we know we'll have one follower, lol. Anchorman, it is Napier, in Hamilton, Ohio. Hello everyone. Long time stalker, seldom time poster. Anyway, my wife and I are beginning the journey. Well, we actually began the journey when we started getting the house ready to sell. At this point we sold the house, loaded all of the belongings we had left (which is still more than two people should be allowed to have lol) into a 26' box truck, loaded the car on the trailer and pulled it behind the truck from Marquette to Cincinnati. Longer story short, we got our medical cards Monday and we start training the Monday coming up (October 5th). Five weeks, private school. I plan to share our experiences with the process/journey if anyone would like to follow along. Wish us good fortune and feel free to ask questions. I just didn't want to make this too long and bore y'all with info you didn't care to know. I got my CDL-A Permit! Good job! Keep it up and keep us informed.